You are here: Home / freebies / The Playdate Busy Book FREE for Kindle! If you’ve got kids, you’ll want to grab today’s Kindle FREEBIE! 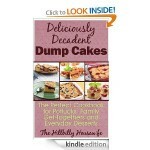 Get The Playdate Busy Book FREE for Kindle! 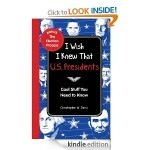 Summer is just around the corner, and this would be PERFECT to give you some inspiration to keep your kids entertained! 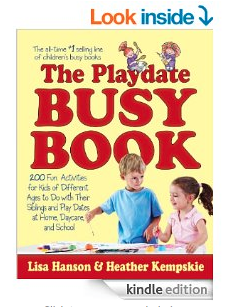 The Playdate Busy Book (previously titled The Siblings’ Busy Book) authors Hanson and Kempskie have outlined 200 activities that all the kids can enjoy together (ages 3 months to 9 years). Each activity write-up includes ways for babies, toddlers, preschoolers, and school-age kids to join in the fun. As in other Busy Books, the activities range from arts & crafts, seasonal decorating, outdoor adventures, and imagination stretchers to making music, learning together, and rainy-day family fun. 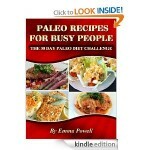 Paleo Foods for Busy People FREE for Kindle! 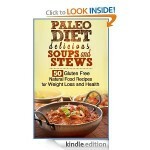 Paleo Diet Delicious Soups and Stews FREE for Kindle! 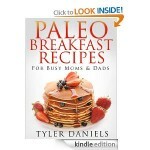 Paleo Breakfast Recipes for Busy Moms and Dads FREE for Kindle! 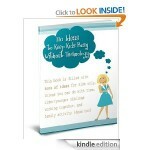 110 Ways to Keep Kids Busy Without Technology FREE for Kindle!